breakfast | Blog, Jane! Blog! I am not always a lover of quinoa, but in an effort to up my protein in the morning I decided to try cooking it for breakfast. 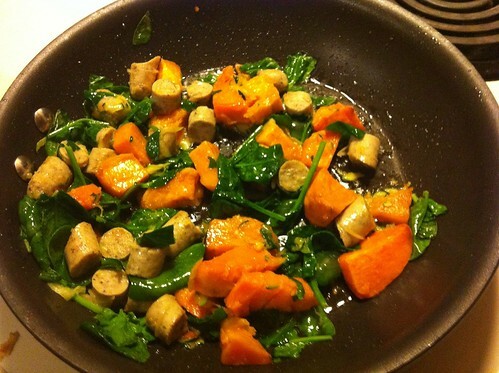 As part of my efforts to add healthy fats to my diet overall, I decided to cook it in coconut milk. And then because I don’t want to get up early to cook breakfast, I decided to cook it in my slow cooker. And what I got was delicious! Especially when I added fresh blueberries! I made this on Monday night, and reheated it the rest of the week. It was so good, even reheated. Lightly grease crockpot with butter or coconut oil. Add all remaining ingredients, except blueberries. Stir. Cook overnight on low for 7-9 hours. Serve with blueberries. I came across this recipe on Pinterest yesterday. It fit my new criteria of being gluten-free. I was able to adapt it to also be dairy-free as well, plus a few other tweaks based on what I had on hand, with great results. It was so yummy! I made it last night and then re-heated for breakfast. It was hard not to just eat it last night, because it smelled fantastic when I took it out of the oven last night. And this morning, it tasted fantastic too! YUM!! And I’m looking forward to eating it again tomorrow! Preheat oven to 375°F and generously spray the inside of a 9 by 9 inch baking dish with cooking spray and place on a baking sheet. 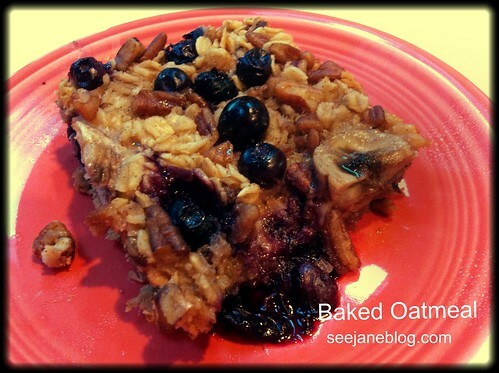 In a large bowl, mix together the oats, sugar, baking powder, cinnamon, salt, half the pecans, half the berries, and flaxseed. (Save the other half of berries and pecans for the top of the oatmeal). In another large bowl, whisk together the milk, egg, coconut oil and vanilla extract. A new summer breakfast! I was skeptical but both these flavors proved to be yummy this weekend! I found Chia seeds at Costco and now this is going to be my go-to breakfast. Easy to prep the night before. I use a Tupperware tumbler. 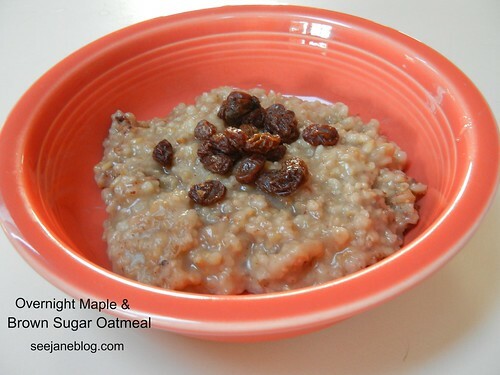 I don’t think it’s a secret that I love steel cut oats and I love making them in the crockpot so my house smells like breakfast when I wake up. So far though, I had only prepared them one way. 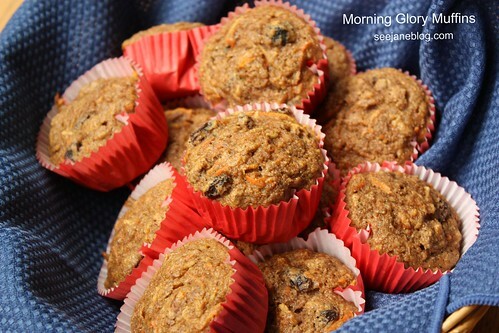 But on Friday, this recipe was posted on Mel’s Kitchen Cafe, so I decided I was going to make it for Saturday morning. It’s a keeper. 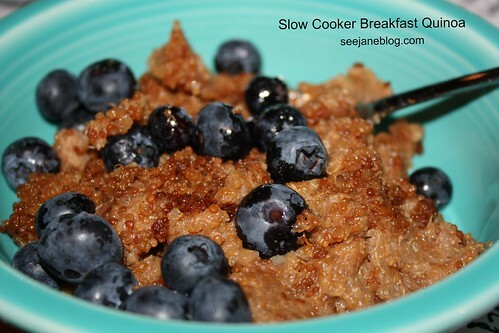 It may be my new go-to breakfast in the crockpot meal! Lightly grease crockpot with butter. Add all remaining ingredients, except raisins. Stir. Cook overnight on low for 7-9 hours. Serve with raisins.